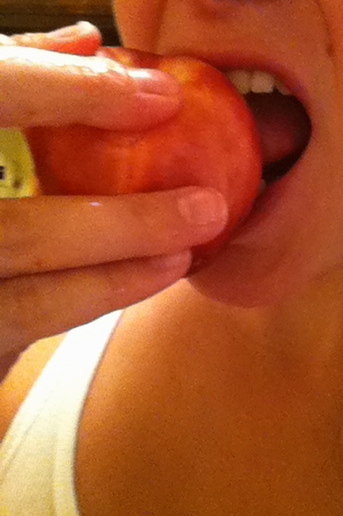 If you read my peach post, it might surprise you to hear that my all time favorite fruit is the nectarine. I twiddle my thumbs all year-round awaiting nectarine season. And if I confessed how many nectarines I’ve had in a mere two days, you might cease reading to discourage my gluttony. Nectarines do cause problems, I should admit. 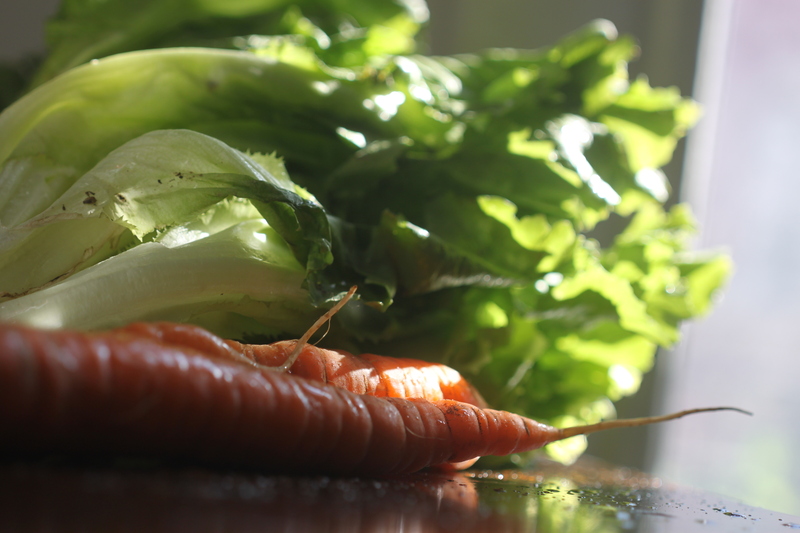 Like the fact that I’ve neglected the other sensational vegetables from this week’s share and forgotten to cook entirely. The $10, rummage sale chic, Le Creuset dutch oven (dubbed Olaf) has allowed for many CSA vegetable cooking opportunities, and I have a feeling it will make many a photo shoot appearance over the next few weeks. Please feel free to shout with glee when you see Olaf; we do. So a few yummies we devoured this past week, with and without Olaf’s accompaniment, are as following. 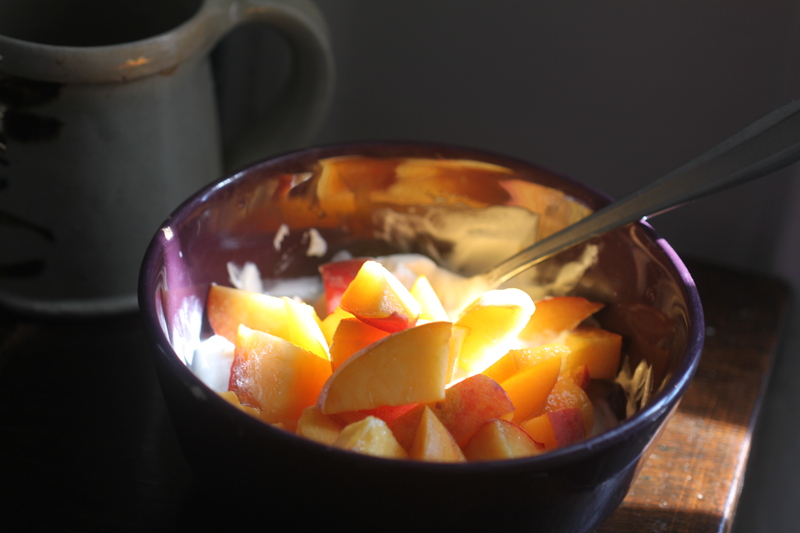 Peaches, mmm, in Greek yogurt with a splash of orange juice and a drizzle of honey. 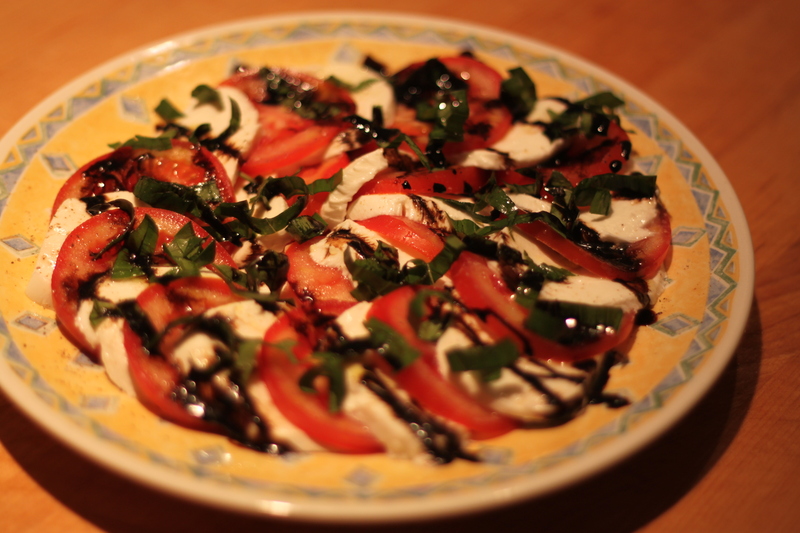 Local tomatoes and mozzarella with basil, olive oil and swizzled-on reduced balsamic vinegar. Sweet, sweet summer. 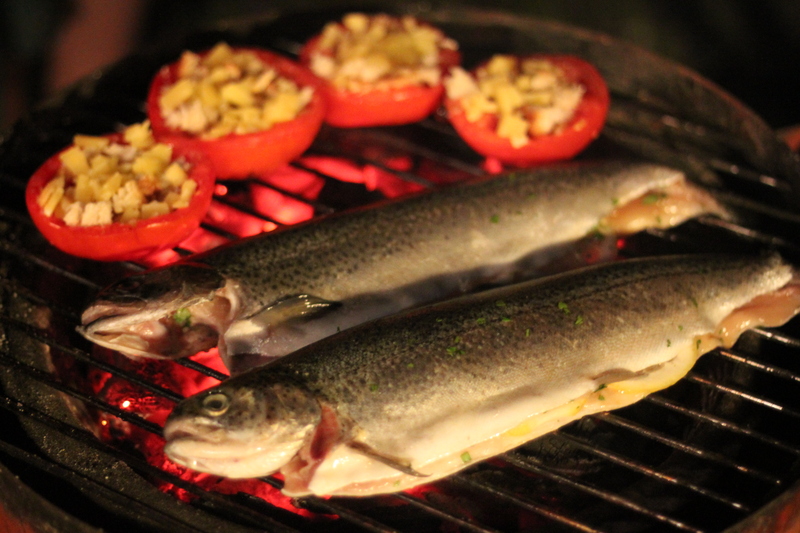 For the pescetarians in our midst, two beautiful trout with slices of lemon and herbs and soy sauce inside cooked on the grill. Tomatoes with breadcrumbs and farmers market cheese. 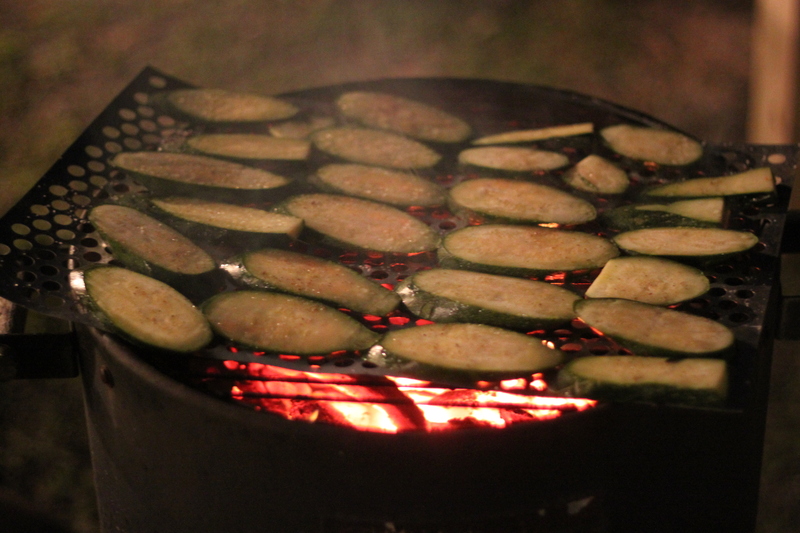 And (way to go, Northeast harvest), delish grilled zucchinis… and zucchinis and zucchinis and zucchinis. 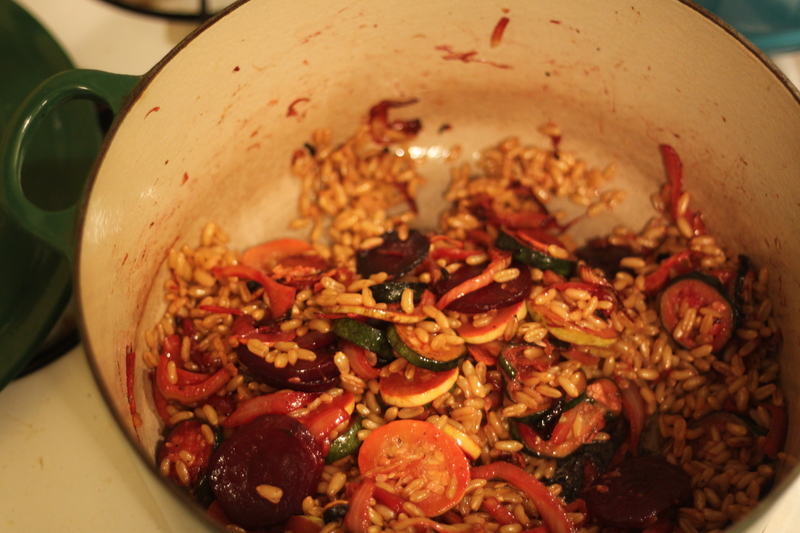 Olaf’s meal from above was a hodgepodge of kamut with fresh garlic, beets, onion, squash, fennel, thyme, olive oil, butter, and salt and pepper (aka: everything that was in our CSA this week). Welcome to our home, Olaf. Welcome. Hello, New York. How did you enjoy the 104 degree weather this week? I sat in my very own pool of sweat in my “air-conditioned” apartment, blew three fuses using too many fans, saw substantially sized spots when emerging from the subway, sweat so hard it impaired my eyesight and walked directly into a crosswalk sign, took six showers in a day, and drank Kirstie Alley’s weight in water. By the way, when I slammed into the crosswalk sign no one noticed (and/or cared), because they too were walking zombie-like to their destinations in comatose states. I couldn’t even bother being offended. If ever there was a week not to turn on your oven, this was it. Eat cucumbers, freeze lemonade, pound ice cream bars, I don’t care. But please, please, don’t make me cook. 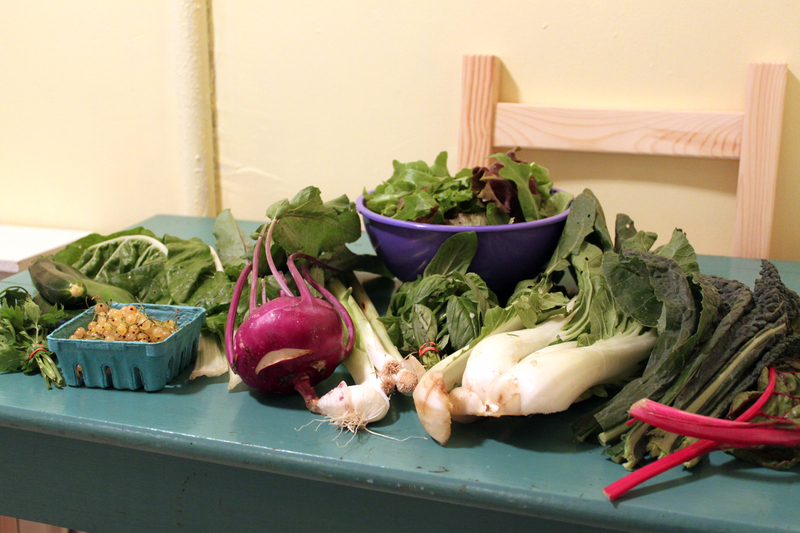 And yet, we got our beautiful CSA share. And it’s oh, so important to us to be conscious of where our food comes from (meaning not eat from the questionable Asian-“fusion” restaurant around the corner that smells vaguely of manure and no doubt finds their chicken product from the hen house in their basement, but has AC). It truly isn’t easy being green. But when we picked up – scratch that, when we schlepped our food pile back to our apartment and found this succulent array – Well, you know the rest. We cooked. And thus, unlike any other self-respecting, take-out loving, drive-through attending, no friend to the environment smart person, we roasted beets, sauteed swiss chard, grilled watermelons, baked zucchinis, and cried – very, very hard – over a blazing hot stove. New York is the only decent place to get a pizza outside of Italy. Everyone knows it (even Chicago). And while we might not have a red, white and green awning on our apartment building, on movie nights we will occasionally make a pizza (a New York pizza). Pizza makes a good platform for using up your share veggies, and no one worth their salt’s going to argue with pizza for dinner. There are a few options for crust. Starting with the most difficult and rewarding: make your own, buy pizza dough from your local pizzeria, or buy packed dough from the supermarket. I encourage you to try making your own, because it’s fun and not as hard as you’d think, and it gets excitably poofy. To make your own crust, dissolve a packet (2 1/4 tsp) of yeast in 1 and 1/3 cups of warm water, and let sit for five minutes. Then add one tablespoon of sugar or honey (we like honey), three and a half cups of flour, one tablespoon of salt, and two tablespoons of olive oil. Knead together and add flour as necessary until dough is sticky, but doesn’t stick to your hands. Let rise for at least an hour and a half. Poke appropriately. 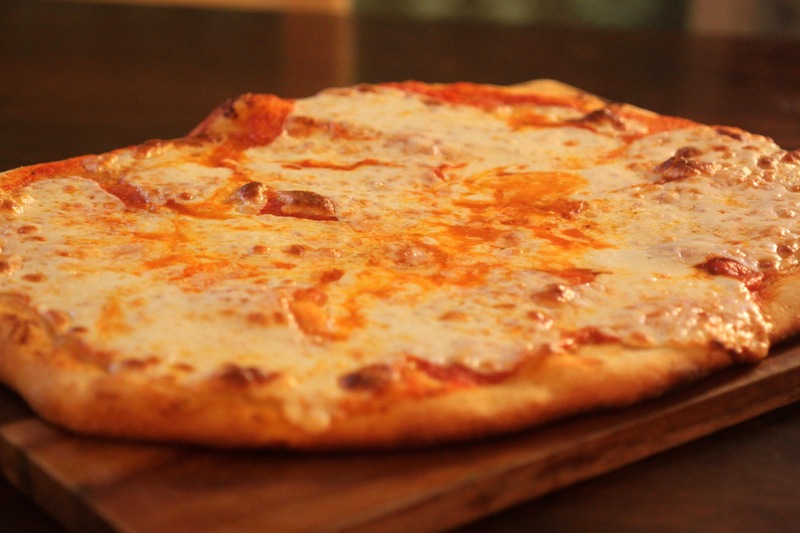 Roll out dough, brush with [CSA share] garlic in olive oil, add marinara sauce, sprinkle with [fresh, local] mozzarella. For guilty pleasure, stop there. 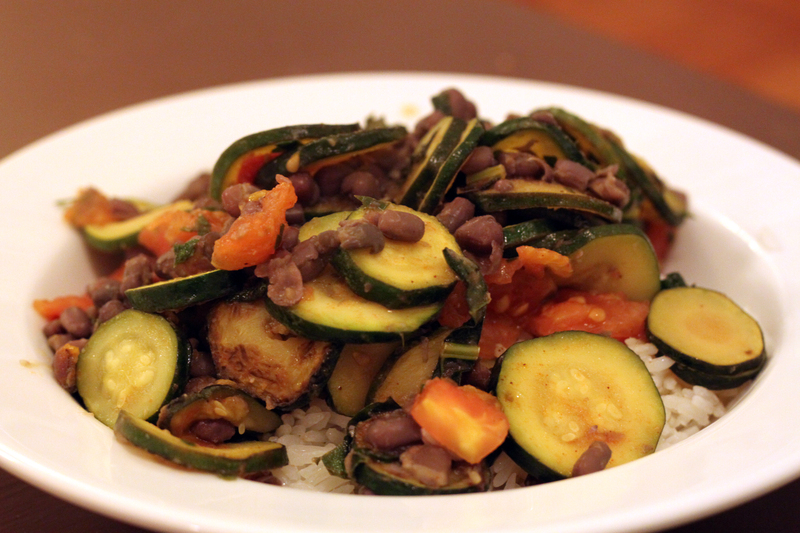 For a complete meal, add vegetables, preferably ones that were very recently picked. 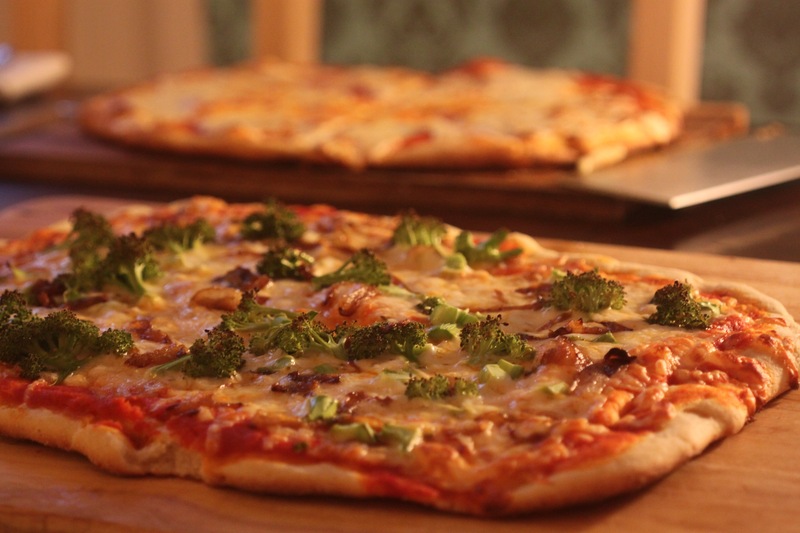 On our most recent pizza, we added onions and broccoli from this week’s share. Screw Domino’s. Make a New York farm-savvy pizza. Then mangia. 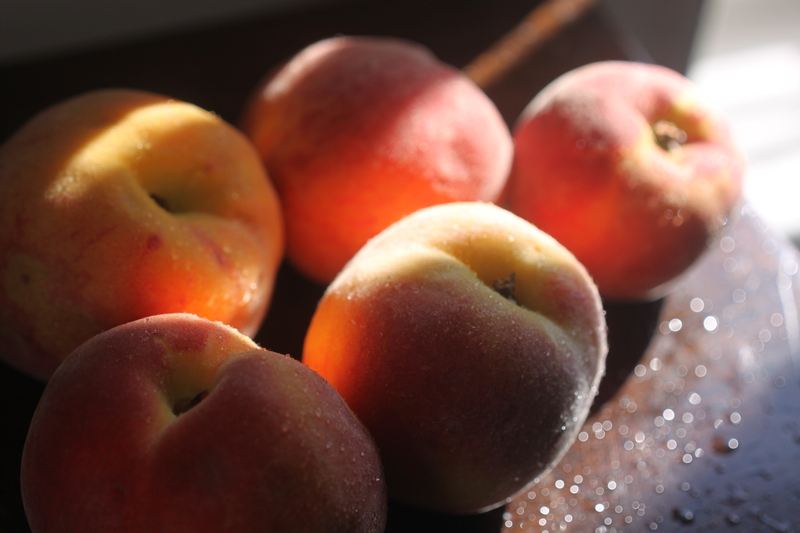 For a few mere weeks of the summer – cruel, speed of light, seductive weeks – peaches are blissfully ripe. Ever walk into a market and smell something sweet and familiar, and walk around with your nose up in the air, sniffing hysterically, trying to track it down? Only to find that the entire store has been fragranced by the scent of fresh peaches. If you haven’t, you’ve missed out. 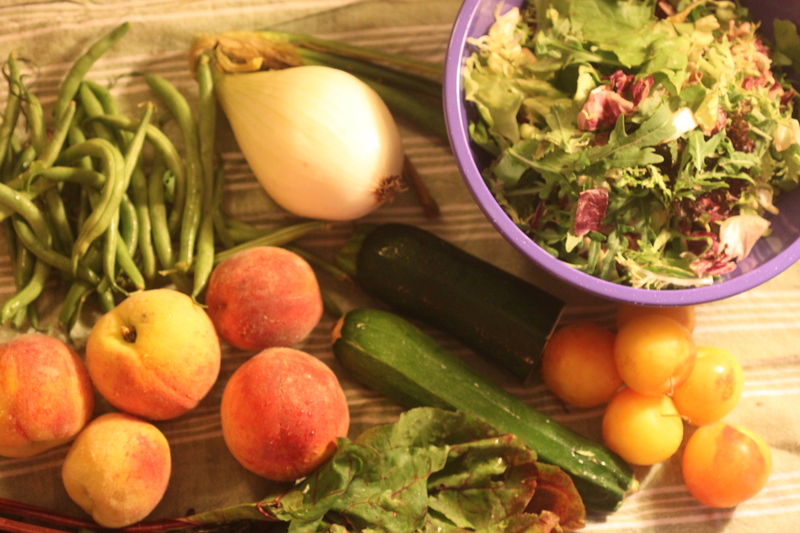 And thus, when this weeks share came complete with peaches, I did a secret spastic dance in my living room. The dance, I should admit, was the Thriller dance. But you get peaches on short notice and see what you do. 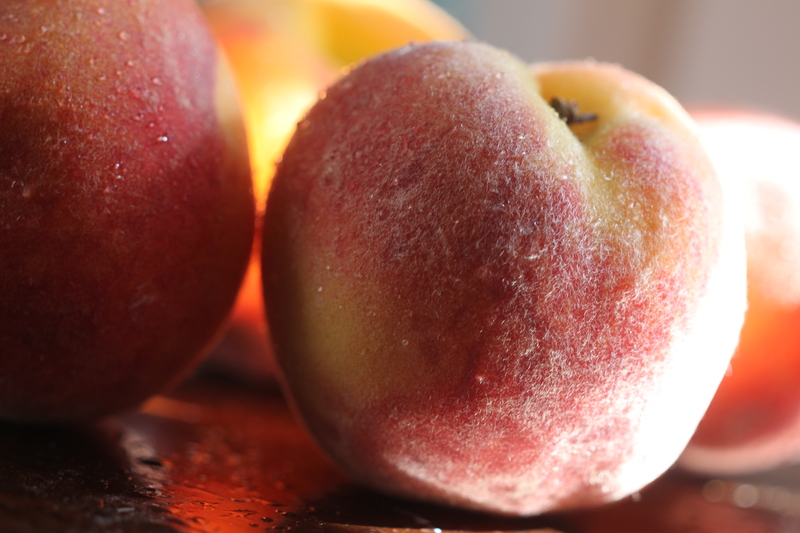 We have many things on our peach agenda: peaches in yogurt, a mini-peach cobbler, peach-ginger ice cream, peach smoothies. Oh, and peaches. Just peaches will do just fine. 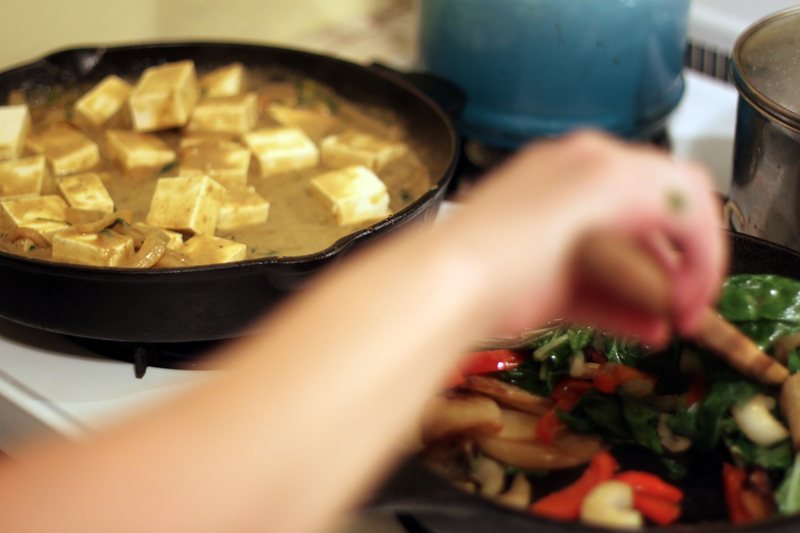 The number one rebuttal to the practice of vegetarianism is that it’s nearly impossible to get enough protein. This is the basic argument that scare-tactics a lot of people out of reducing the amount of meat they eat. The problem with this line of reasoning is that it’s based in years of propaganda and misused science. Society tells us that we need more protein, by and large because the meat industry would have us so believe. In reality, except for the severely malnourished, people eat enough protein. 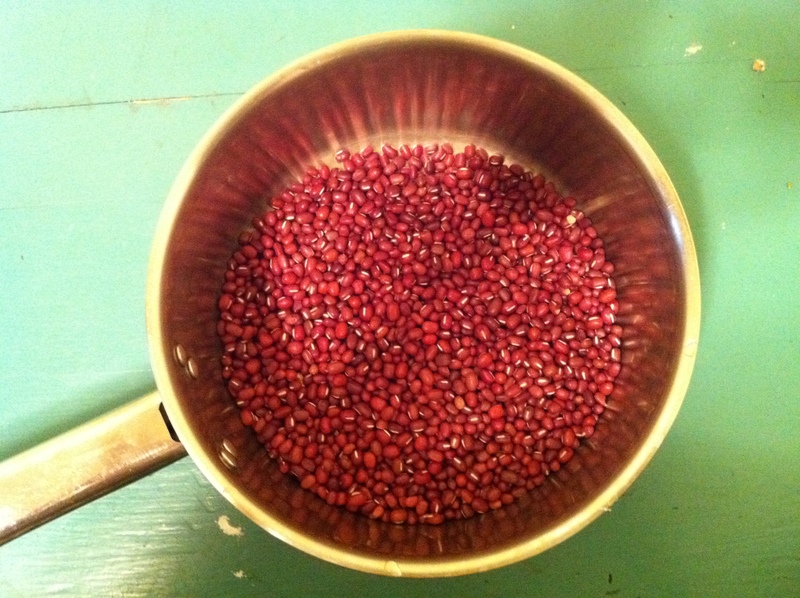 Protein is largely a source for nitrogen, and the amount of nitrogen one needs is well accounted for in a normal diet. The other thing one needs to get out of their protein consumption is those eight stubborn amino acids the body doesn’t make. The theoretical complications here are cumbersome. The amino acids are used in different amounts by the human body, and furthermore, different organisms (like plants and animals) use different amounts of each than we do. You can see where this could be easily misconstrued. The story goes that plants use less of a few essential amino acids than we do, and thus people who eat vegetarian are depriving themselves of those nutrients. This is then generalized to the argument that vegetarians don’t get enough protein. See how quickly that escalated? This spawns a series of myths, like that the protein in beans doesn’t provide anything unless it’s matched with rice, creating a “complete protein.” According to Young and Pellett, “… an undue emphasis on amino acid balance at each meal is inappropriate in the context of usual diets in healthy populations.” If you speak Science, read further about Plant Proteins in Relation to Human Protein and Amino Acid Nutrition. If not (and I don’t), the translation is essentially that the beans and rice theory, along with others, appears to be bull. If you’re eating a well rounded and nutrient-rich diet – meaning lots of kinds of plants – then there’s no need to worry about specific amino acid deficiencies at each meal. Things that are lacking from one meal will be compensated for in the next. Disclaimer: This is not a case against eating meat. Merely a case against the rumors as to why you should. Disclaimer Disclaimer: While this remains an uncredited blog, I insist on handing over some credit for this piece to the biologist in question. He had his fun. Struggling with the fish predicament? Which is okay to eat and what’s harming ocean life and the environment at large? I am. Dan Barber, the highly conscientious chef at Blue Hill and co-owner of Blue Hill Farms, did this talk about the dilemma surrounding fish. He won’t bore you; I promise. The beautiful currants we got in our share this week turned out to be surprisingly tart and made my eyelid twitch and my face get all squished. 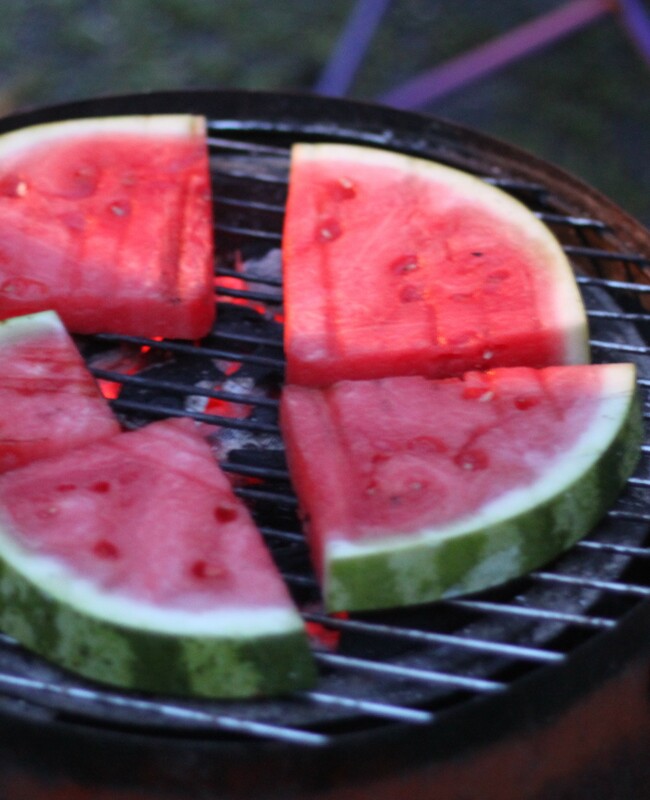 So we tried cutting the sour with honeydew – as it is quickly approaching melon season – and making a summery party drink. 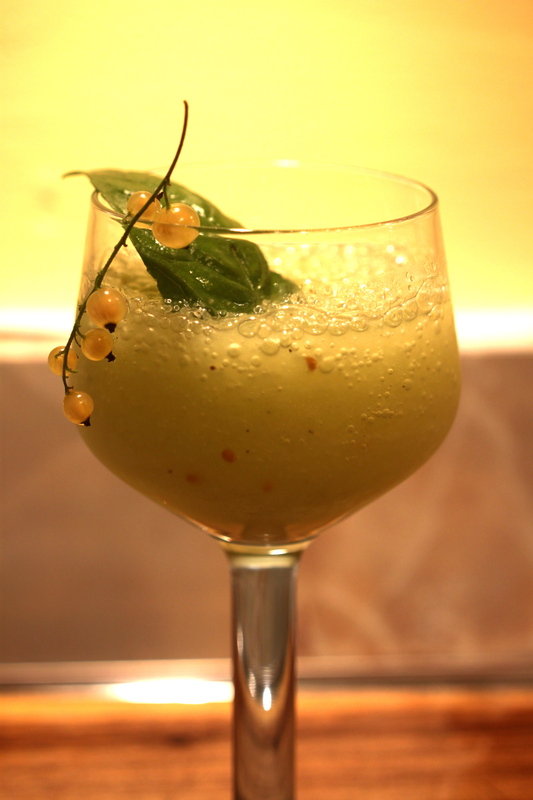 We chopped up a third of a melon, took a few handfuls of currants, a squeeze of honey, four or five ice cubes, vodka, and blended. Then garnished with basil and extra berries and proceeded to celebrate. Celebrate what? Name it. 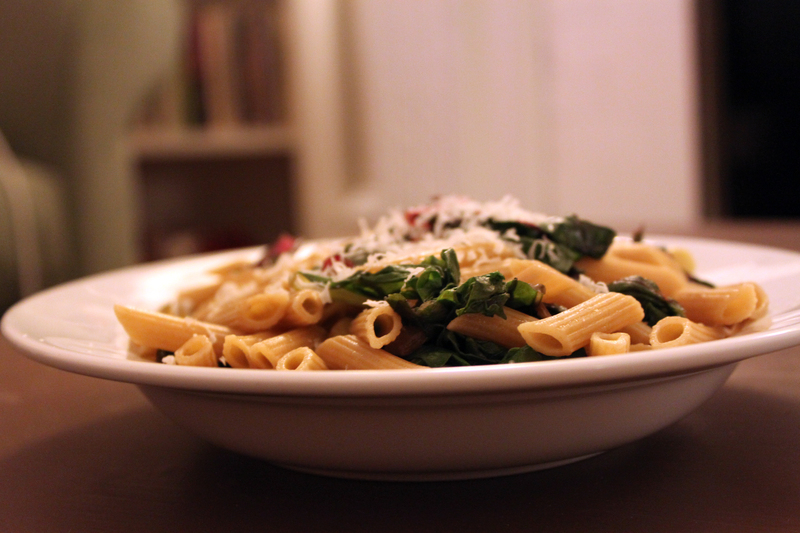 For those without gluten fear (or allergies), pasta is the yummiest and most indulgent standby. 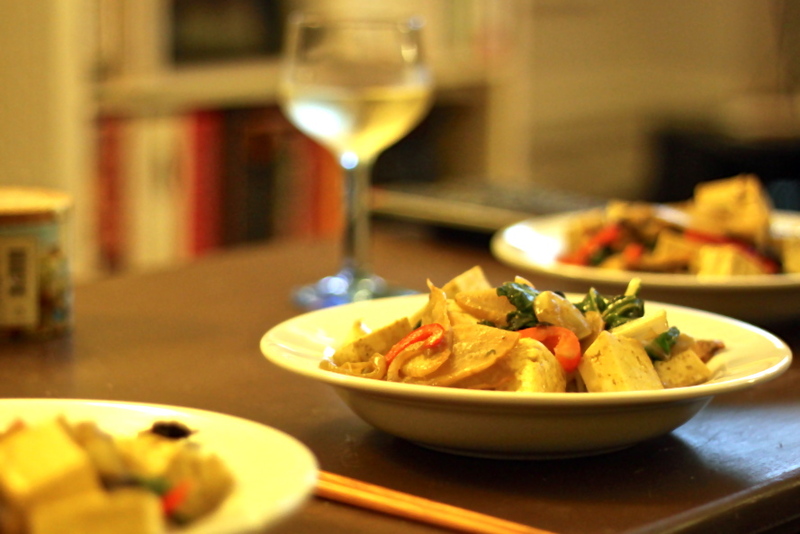 We like to throw all our veggies in a stir-fry with some whole wheat pasta and call it dinner. 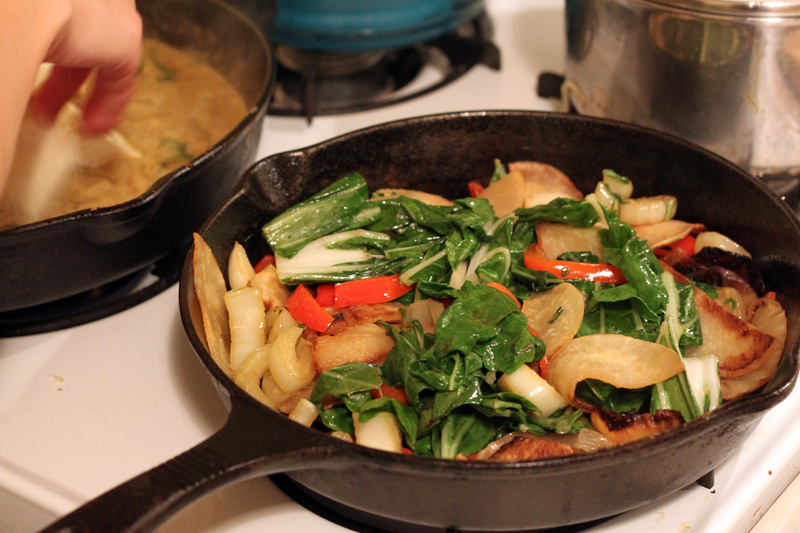 After coming home with our bounty we sauteed up some leftover garlic scates, some new fresh garlic, and a couple of leaks. 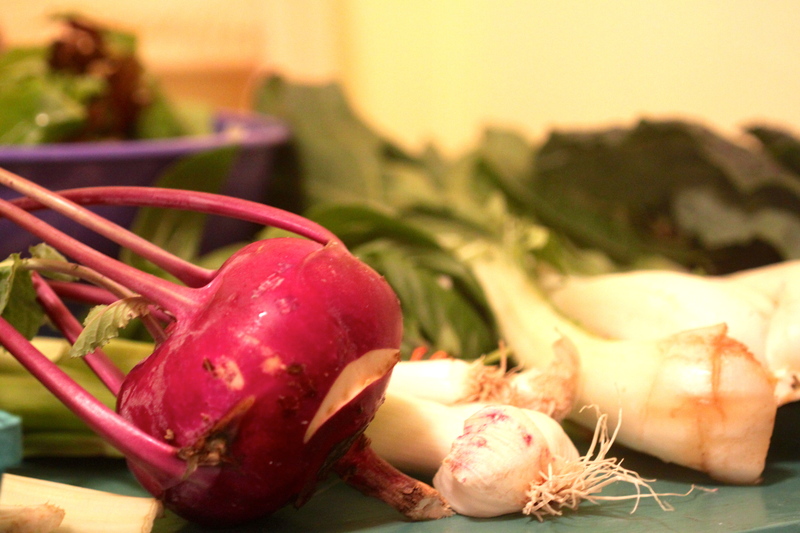 Once those had gotten soft we added a big honkin’ pile of swiss chard (it cooks down quite a bit) and added a couple vegetable stock ice cubes. Garnished with salt, pepper and a sprinkle of parmesan, and presto! An almost exclusively CSA meal (plus pasta and parm).